Mobilebet is a fairly fresh esports operator. 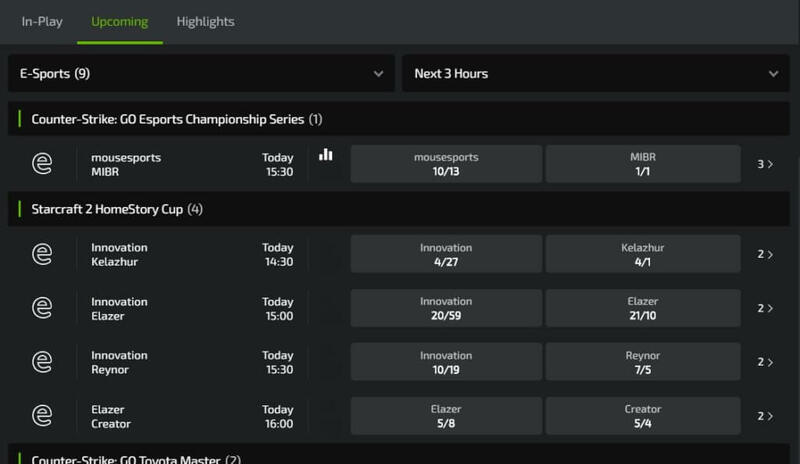 With a strong mainstream sports footprint, the bookmaker is now experimenting with a variety of new segments, including video gaming. We have taken a look at the bookmaker and reviewed everything, from how mobile friend they are to the video gaming titles covered. The result is a well-rounded offer of markets, odds, and bonuses. While we do have a few recommendations on our mind, we are quite satisfied with the overall offer of the website and the potential for esports to grow here is quite pronounced. If you are looking for a bookmaker to take up esports betting with, Mobilebet will provide you with a comfort of fairly-priced matches and accessible bonuses. New customers will find the facilities easy to enjoy. A tempting £10 bonus will start you off right away. Available in the form of a free bet, the offer is definitely one that you will want to make full use of. Though the amount may seem modest, Mobilebet will provide you with sufficient opportunities to multiply your modest wagers as you continue to play along. Though the offer comes in the form of a freebie, we strongly recommend that you go over the T&C as they will determine how soon you can cash actual profits from the bookie. We have dedicated a separate section to this. In the meanwhile, remember to keep your eyes open for any new exciting promotion that may appear on Mobilebet pages. Esports is a fairly fresh segment, so nothing exclusive is yet available, but many of the excellent sports promos will apply for the video games segment, too. Once you have made up your mind not to pass up on this excellent promotion you will want to immediately get to business. However, there are a handful of things that you might want to be aware of first. Now here are some of the specifics of the offer. To access the £10 free bet, you must be a mainland UK resident, no exceptions. You must opt-in for the promotion while you are registering your account. The minimum qualifying deposit is £10. You will also need to play through your free bet via an accumulator bet with minimum odds of 2.0. Customers will have 14 days to clear the bonus condition which is a generous timeline given the small sum that you will need to stake. 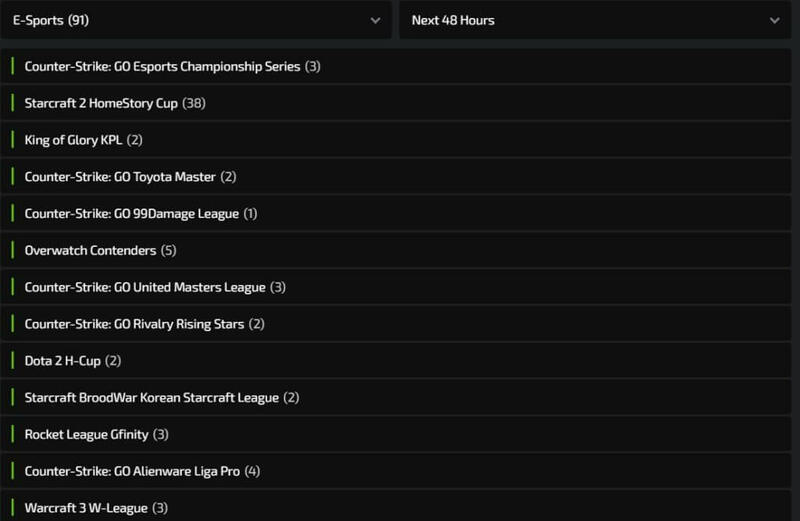 This list may change slightly based on the day of the month and the ongoing esports competitions, so we would recommend to put Mobilebet on your list of bookmakers you visit to compare your odds and check for a value betting opportunity. Placing a bet at Mobilebet is no different than placing a wager at any other operator out there. You can pick from a number of available options, such as In-Play, Upcoming, and Highlights. But this just has to do with the timeframe of the events. As to the specific wagers, you can indeed place quite a few! From choosing the match winner to picking the tournament winner. All you need to do is to register your account, pick a side you want to bet on and specify the amount that you would want to invest. This is all very easy, as you all have to do is just click around on the teams you are supporting. Mobilebet makes placing a wager fantastically easy and intuitive that we would recommend sticking with this bookmaker time and again. You may not have noticed immediately, but Mobilebet is a mobile-first website. It’s entire layout has been designed to accommodate those users who prefer to browse the Internet and place wagers from their smartphones. This is definitely a point in the website’s favor. We switched to our mobile for the rest of the review to test the full functionality of the website. And it’s all here. Whether you want to have a quick through the available titles or you would much rather cash out your money, it’s all very easy to do with the mobile-friendly and customer-centered Mobilebet. We have spent several hours coming back time and again to confirm that the platform is not prone to glitches. Additional research has indicated that no wagers have been voided to technical issue, which helps us recommend Mobilebet’s underlying software. Care to have all your problems settled in the matter of minutes? You will most definitely have to turn to customer support. But instead of phoning or looking up the website’s e-mail, we recommend you to assume the best approach – just hit the Live Chat support. They are all very responsive and will help you sort out you trouble in no time. All you need to do is to launch the live chat box and you will be talking to a customer rep. in the matter of minutes. Our personal experience with the customer representatives has been quite satisfactory. We had to confirm a few things that we’ve already covered in the review. The rep. was quite polite and responsive. Speaking of the available payment methods, there are quite a few. You can deposit using well over two dozen established payment solutions, which will help you to bank safely from every corner of the country. One of the underlying solutions here is PayPal. PayPal will offer you both quick deposits, but equally expedient cash outs. We truly enjoy PayPal as it will protect your funds from any third-parties and this way you will always know that you can bank safely. Getting hold of the support, as we have pointed out, is in fact quite easy. From the Home Page, you need to go to the help section, which is located top right corner on the navigation bar. This will bring out a very detailed pop-up box. 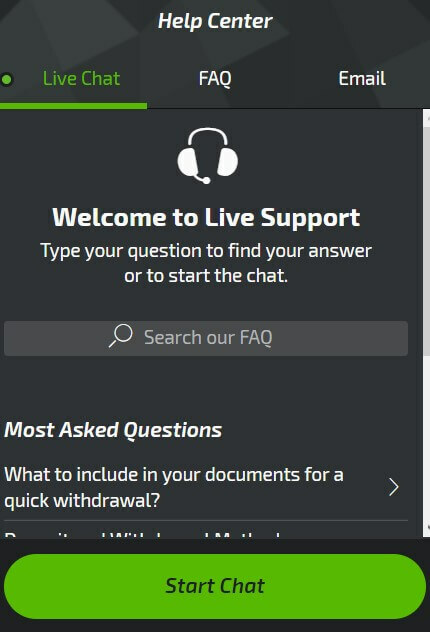 You can go and check the FAQ section, which we have found quite useful ourselves, or you can opt for the live chat option, which is 24/7. Feel like you have something that perhaps merits an e-mail? You can use the same pop-up to drop them an e-mail. If you are looking for a bookmaker with a good reputation to wager on, Mobilebet is the right place for you. They are established and offer a great selection of markets and available bets. With over 100 events running every 48 hours, you will definitely not find yourself in a shortage of great options!